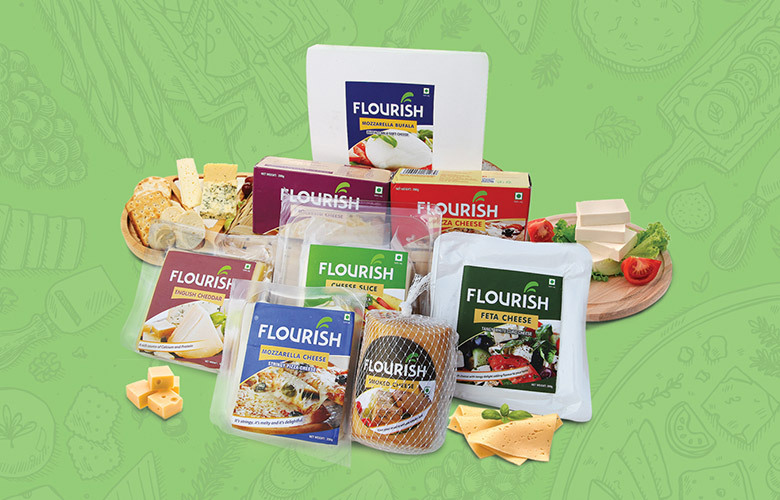 Flourish brings you premium quality paneer. 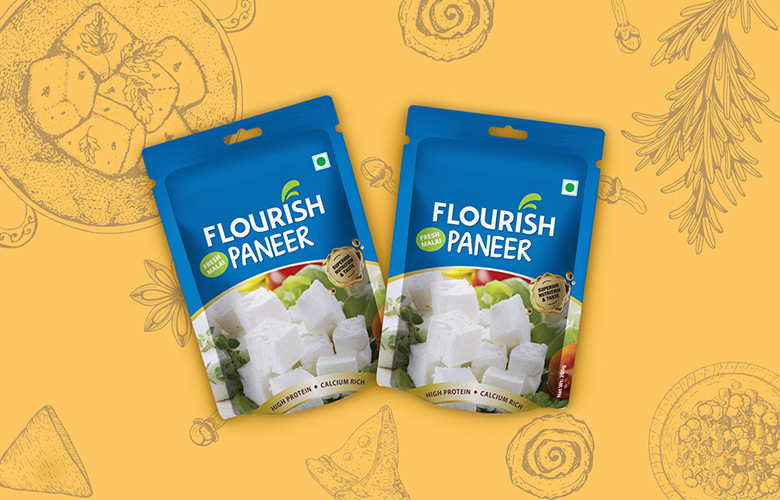 It is delicious and an integral part of some of the most popular dishes of Indian cuisine, it is also a very good source of calcium, protein and healthy fats that help in improving the functioning of the body. 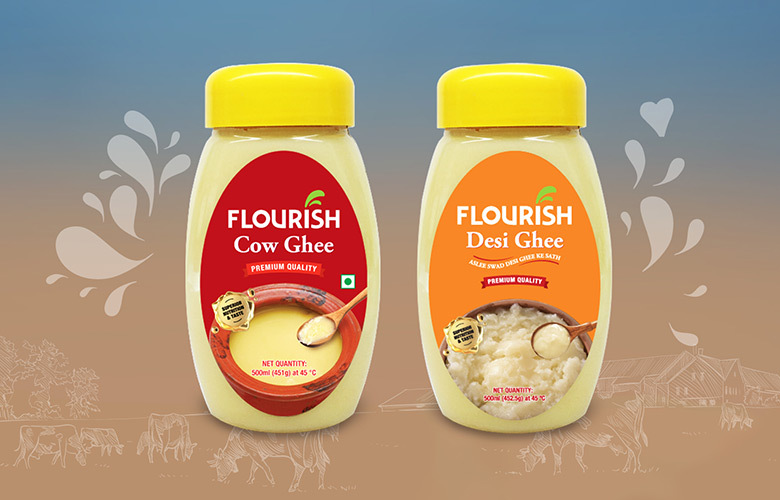 We deliver to your doorstep, Fresh Milk, with 4 variants range depending on your choice! Call us for more details! The Samudra manthan is a celebrated Hindu myth that is rich and myriad in references, and is even today, celebrated among the Hindus. The story of Samudra Manthan, or the churning of the ocean, is an age-old tale from the Puranas, where the ocean was churned in order to bring back Devi Lakshmi, the Goddess of Wealth. It all began when the gods had begun to notice the growing arrogance in Indra, the king of the Gods. Devrishi Narada, an enlightened sage or Rishi amongst the Gods, and Rishi Durvasa, another sage who was known for his short temper, decided to teach Indra a lesson by handing this Vaijayanthi Mala – a divine flower garland – to him. The specialty of this flower garland was that it only stayed with the one who has been able to conquer his mind. When he failed, Indra’s ego was severely wounded and he declared that he was as great as Shiva himself. The height of his arrogance angered Rishi Durvasa, who cursed Indra. As a result, the Devas lost all their power and wealth. As this news spread, the Asuras, or demons, felt that this was the right time for them to launch an attack on the Devatas (Gods), and they planned to do so. They defeated the Devatas and fled with the Amrit Kalash, or the earthen pot of nectar, with the Devatas in pursuit. As Indra and Raja Bali fought over the pot, drops of the nectar fell on the earth. The four spots where this nectar fell are Haridwar, Prayag, Ujjain and Nasik, which are now spiritual centers called ‘Maha Kumbh’. At the end of this fight, the Amrit Kalash slippped from their grasps and fell into the ocean. Seeing this, Lord Shiva declared that the Devas and Asuras must work together to retrieve the nectar. If not, Samudra Manthan or the churning of the sea is impossible. Thus, both parties reluctantly agreed to work together. In this way, they began the process of churning the ocean. Lord Vishnu carried the Mandara mountain into the sea, to use as a spindle. When the mountain was placed in the ocean, it began to sink and to balance it, Lord Vishnu took his Kurma Avatar, the form of a tortoise with the mountain balancing on his shell. Lord Shiva summoned Vasuki, the king of serpents, to be used as a rope to churn with. They began churning, both parties pulling and pushing at their ends. Before long, the ocean began to give out poison which was so toxic that it could destroy all of creation. Seeing this, Lord Shiva entered the ocean and began to drink all of the poison. Before the poison passed His throat, Goddess Parvati put her hand on His throat to hold it there, and promised to reside in Shiva’s throat by supplying her Shakti or strength, so that the poison would never leave it. The poison vanished from the ocean after this, rendering it pure once again. On further churning, the ratnas or treasures began to emerge from the ocean. As these Ratnas were being divided among the two parties, some Asuras ran away with the Amrit Kalash. Then, Lord Vishnu took the form of Mohini, a beautiful woman, and distracted the Asuras. He took back the Amrit Kalash and the nectar was distributed among the Devas. The real question is the relevance of this story in an individual’s life. Disciples always get jealous of the status that the master holds, not the state. By seeking the state, they can achieve the status as well. This is the case with Indra and Shiva. Narada is the prayer required when one realizes that he needs something beyond himself to achieve this state. The Devas are the positive thoughts and the Asuras are the negative, depressive thoughts that arise in each person. The technique of unclutching from both of these is the spindle, the Mandara mountain. The balance for this technique is the Master or the tortoise. When churning happens, both thoughts pull the individual consciousness, Vasuki, in two directions. The tiredness and depression emitted out is the poison. These come out of the individual’s system and the compassionate master, or Shiva, swallows it. So, a seeker needs nothing but patience. Only with patience can he continue his spiritual journey and receive the various ratnas that follow the poison, and in the end, receive the Amrit Kalash, or Moksha. This patience is tyaga, the sacrifice of one’s time, and not material possessions. Blessed are those who have both the master and the patience. Flourish also supports Poiesis which is yet another non-profit organization. It focuses on child development and motivating young minds towards accomplishment. Philosophy of Poiesis is to contribute to society by developing children and youth into Powerful, Determined and Happy Achievers, providing them with a platform to boost confidence and aspire to excel in life through various programs. 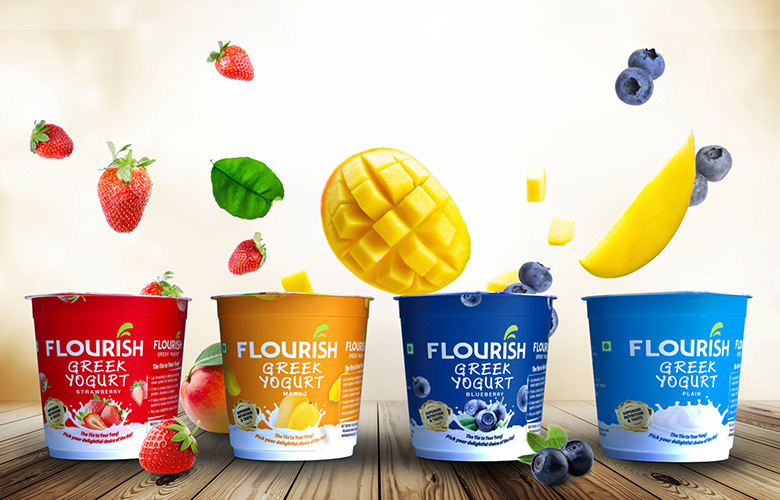 Flourish Purefoods is an inspired and responsible company with strong values founded on the need to support the subject of Nutrition. These values guide our business and underpin the interconnected relationships we have with each other and with the natural world that sustains and flourishes our well-being. 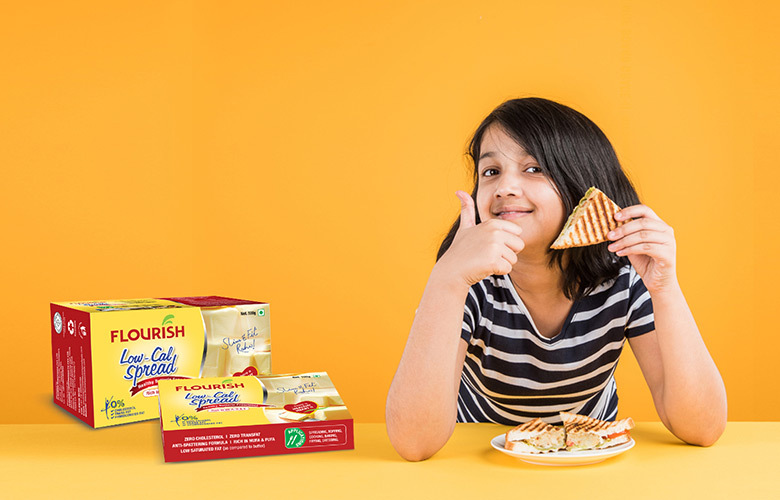 We’ve come a long way since our visionary promoters, recognized an opportunity to contribute to the nutrition and health needs by focusing on freshness & purity, quality as well as innovative delicious products. 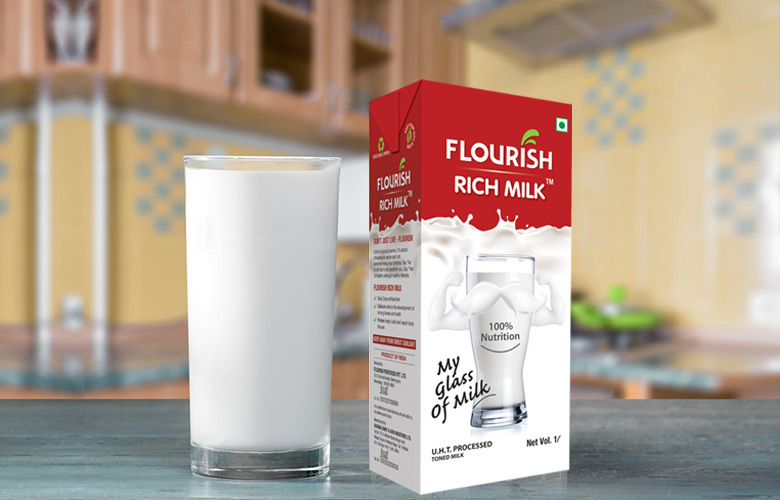 Today, we are a vertically integrated dairy company with a flawless reputation and a clear vision to provide quality and nutritious milk & dairy products and as well as our extension into healthy sources of nutrition through fruit beverages, healthy cooking products that enrich our consumers’ lives every day. 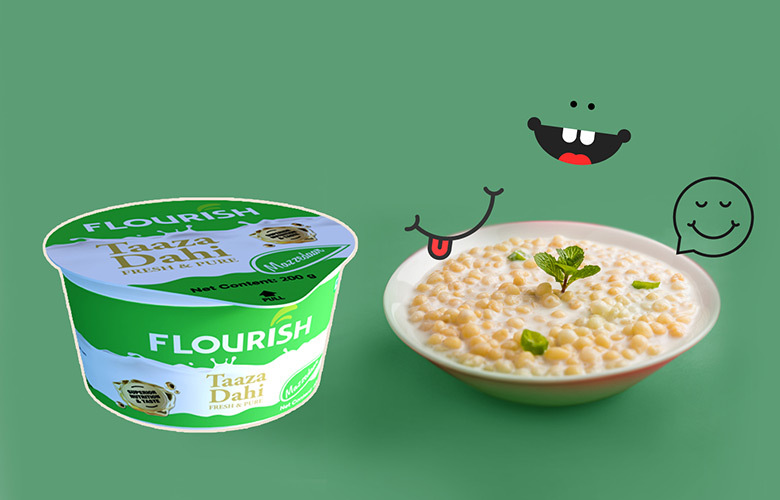 Flourish has an inter generational view of business – we’re here for a long term and have a shared vision of sustainable business practices that ensure our future generations enjoy the benefits, we do today. We are inspired to develop products that give our customers a robust life.We intend on being the vanguard of development in Superior Nutrition and Taste. As we excel, it’s our aspiration to set the standards. We long for our customers to obtain a healthier and improved lifestyle. Inspiring Entrepreneurship; as well as building a Responsible, Innovative and an Admired company globally. a) We are a Milk focused company . 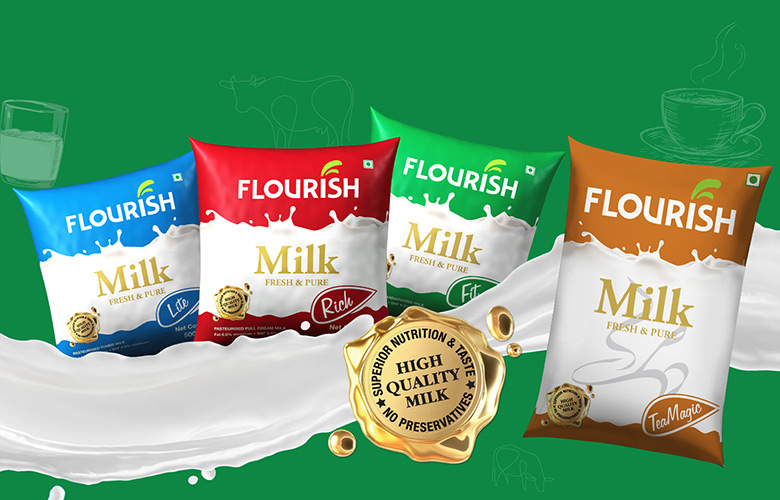 Our focus shall include Farm Fresh Milk, UHT Milk and Fresh pouch Milk. b) Stand for Superior Nutrition and Taste, Natural, Fresh & Pure, Quality and Health. c) Selling through own Single brand stores, planning to reach 1000 stores at PAN India level. d) Large product basket of dairy products and beverages. e) Promoting our products through knowledge and education.